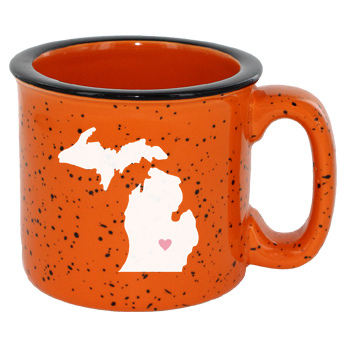 15 oz Campfire Stoneware Speckled Mugs. 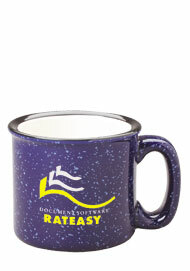 Ride 'em cowboy! 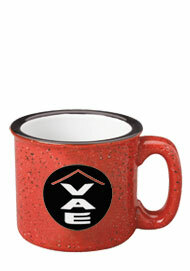 These sturdy, high quality 15 oz Campfire Stoneware cups bring you back to a time of camp fires and the Wild, Wild West. 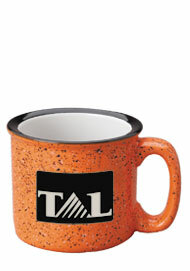 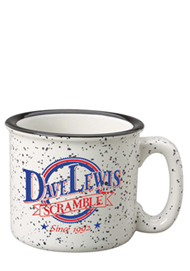 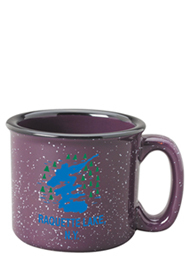 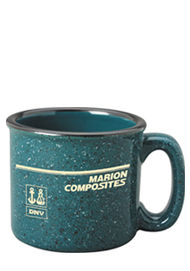 This rugged looking mug is generously sized and comes in a wide variety of colors for you to choose from. 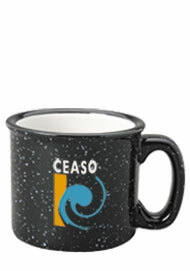 It has a speckled body that helps enhance its unique appearance. 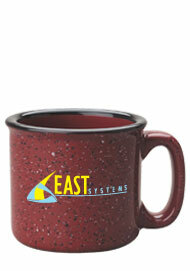 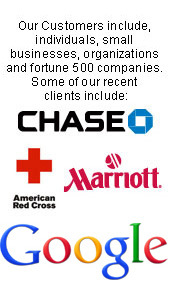 Custom printed with your design, they make great promotional coffee cups. 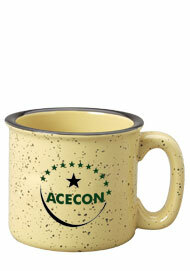 Don't forget these mugs can also be bought blank, with no imprint. 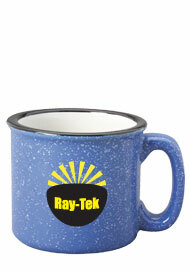 Along with our regularly discounted imprinted drinkware, our blank mugs are discounted even more.